Happy Presidents’ Day! Tall and dignified, the Washington… – Sig Nordal, Jr.
February 19, 2018 Sig Nordal, Jr. Happy Presidents’ Day! 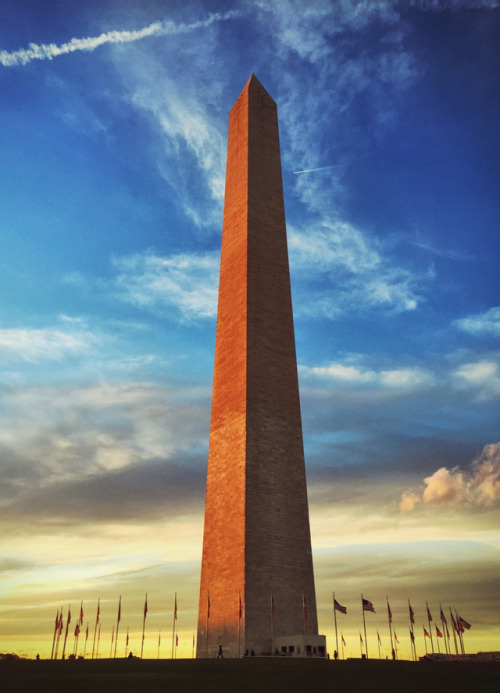 Tall and dignified, the Washington Monument on the National Mall and Memorial Parks in Washington, D.C., honors our first president, George Washington. Presidents’ Day is still officially “Washington’s Birthday,” but commonly includes Abraham Lincoln’s February 12 birthday in the celebration. Photo by Michelle Holshue (www.sharetheexperience.org).